17 are the sculptures that the Association of Friends of the Camino de Santiago in Avila will donate to 17 municipalities of the province, an initiative that comes from the idea of pooling honor the localities through which it passes the Southeast Way and identifiyng the passage of the Jacobean route through Avila in a special way. The sculptures will be borne through the Camino de Santiago Prize 2015 the association received from the hands of the Galician regional government last December. 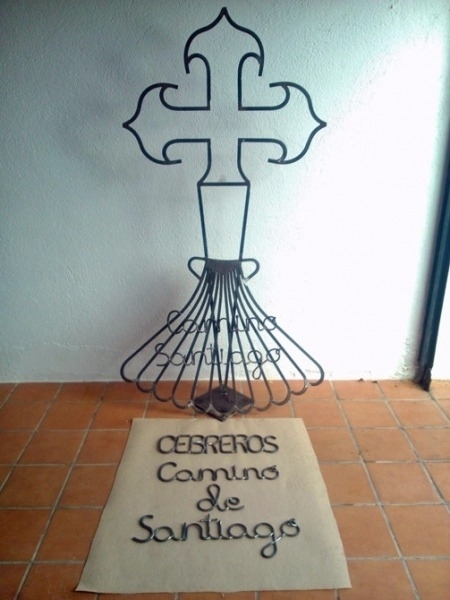 The Association of Friends of the Camino de Santiago in Avila says that this way they want to share the prize in a "fair, original and unprecedented way." The sculptures are inspired by the Camino de Santiago, will have no volume and measured between 1.5 and 2 meters high, while the support each of them will run at the cost of every municipality. The first two municipalities from Avila that will receive their sculpture are Tornadizos de Ávila and Cebreros. Qué gran iniciativa sí señores! Si mal no tengo entendido, el camino de sudeste que pasa por Ávila no está reconocido como oficial no?